Although it only lasted three years, Mannheim’s Milk! Club established a legacy that lasts to this day. Considering the pervasive presence of the U.S. army in Mannheim after World War II and the related (and equally strong) influence of American pop culture in the region, it might come as a bit of a surprise that Milk!’s sound turned out to be quite Anglophile. When it opened in 1990, its genres of choice were still a joyous, chaotic mass of many different sounds, and its resident DJs Holger “Groover” Klein (who reminisced about the club in a previous Rewind column) and Bassface Sascha took what fit their purposes best. But soon most German clubgoers started stomping to a techno beat, while a fiercely loyal crowd—known as the notorious “Milk! Posse”—liked their beats broken, their bass heavy, their pianos anthemic and their hands in the air. Thus the club embarked on a mission that laid the foundation for drum ‘n’ bass and other breakbeat styles in Germany. 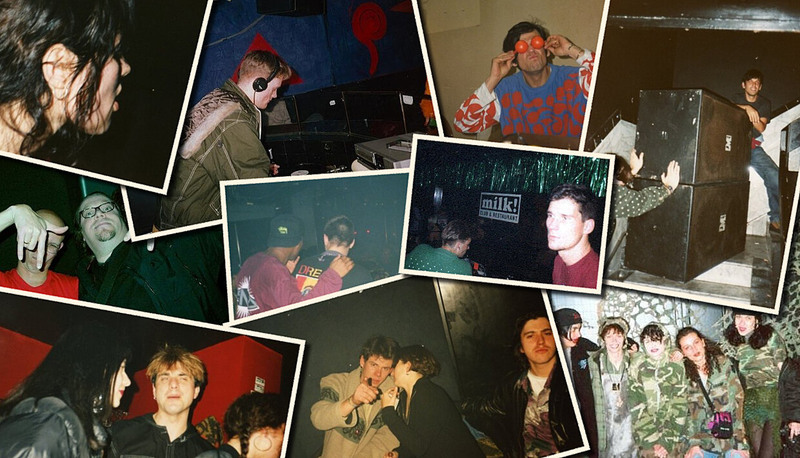 DJ Seebase, who joined the Posse as the club’s third resident DJ in 1992, gives us the lowdown on tracks that defined the Milk! experience. The Mannheim-native is still playing regularly at the city’s annual Time Warp raves. He’s also just re-released an early ’90s collaboration with Move D on Gerd Janson’s label Misfit Melodies.